A driving force behind the American Revolution, Jefferson was a renaissance man of the early republic: a naturalist, an inventor, an architect (who designed his magnificent Virginia home, Monticello, as well as the original buildings of the University of Virginia, of which he was also principal founder), and author. He created for his native Virginia a groundbreaking statute of religious freedom, and it was he who wrote the first draft of the Declaration of Independence. 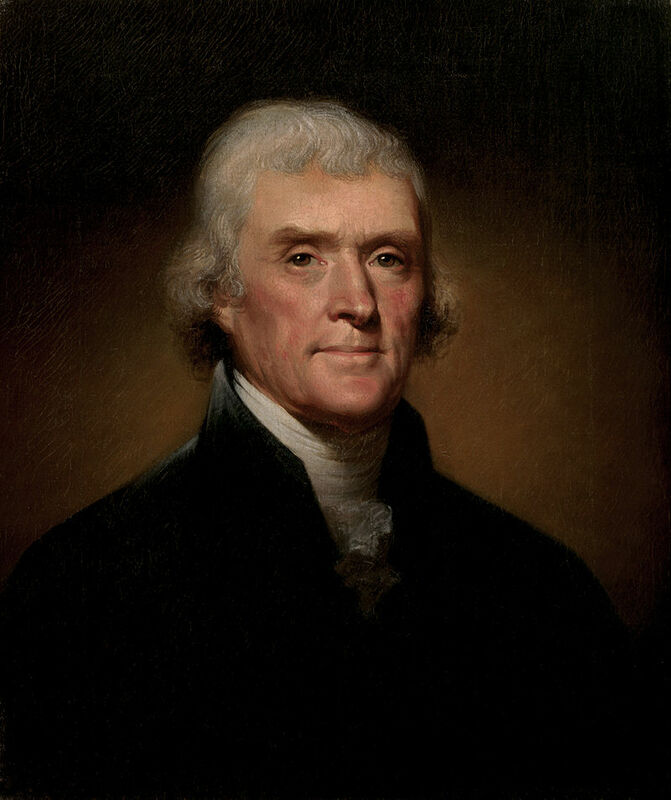 He served as the United States’ first secretary of state (1789–1794), its second vice president (1797–1801), and its third president (1801–1809). As the founder of the Democratic- Republican Party, he championed the rights of the individual over the power of central government. His Louisiana Purchase added a vast western realm to the new nation, into which he sent Lewis and Clark to explore. He was perhaps the most radical of the founding fathers, the chief political philosopher of individual freedom as the heart and soul of the American Revolution.